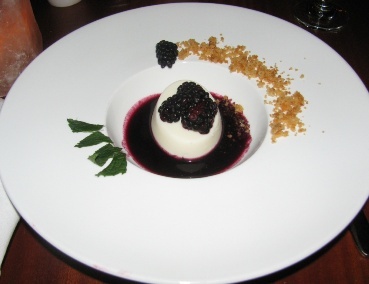 The Artful Diner is an independent, freelance food writer. 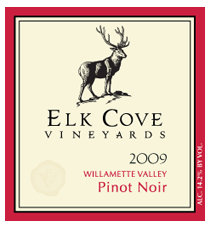 If you’re looking for a red wine that is suitable for summer quaffing, the 2009 Elk Cove Vineyards Willamette Valley Pinot Noir may be just the ticket. This is a light and lively wine with a solid alcoholic backbone (14.2%), soft & supple tannins, and plenty of fresh fruit on the nose and on the palate. And this is the type of wine that is the perfect match for a variety of foods and also thoroughly enjoyable flying solo. This wine is highly rated by a number of professional critics; it is also listed as a “Smart Buy!” by the Wine Spectator – and with good reason. Priced at about $26.00, it is, given its quality and versatility, a veritable steal. On the other hand, if you’d prefer a bit more “heft” in your Pinot Noir, and your pocketbook is feeling particularly flush, you might give one its pricier siblings a try. They start in the $42.00 range.